Brought to you by Deuce's Live's generous partner Duke Energy. 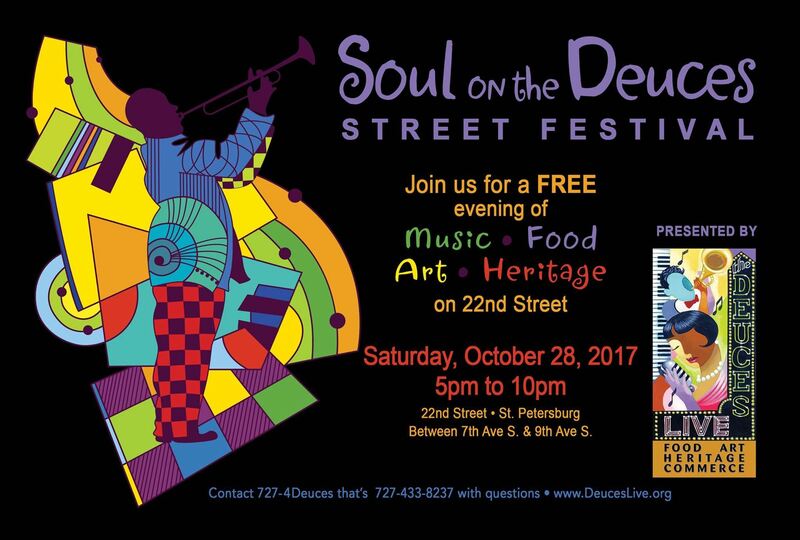 This amazing street festival focusing on music and the heritage of the Deuces, the historical Aftrican American Mainstreet. This years event will feature the lighting of the 275 underpass on 22nd St S.